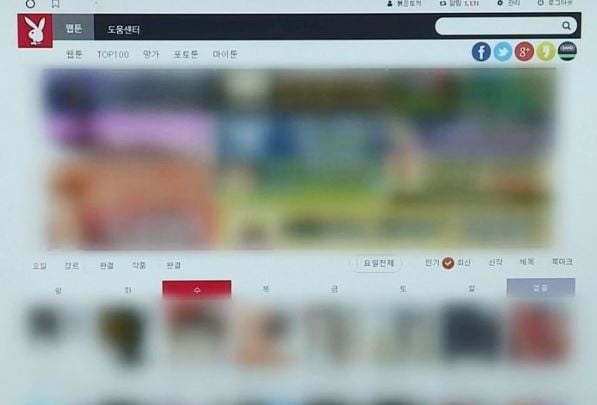 South Korea's specialized IPR police shut down 25 pirate websites and arrested the operators of 13 of them last year in their massive crackdown on illegal sharing of cultural content, the Ministry of Culture, Sports and Tourism said Tuesday. The nation's largest illegal manga-sharing site, Marumaru, was among the 25 pirate websites closed in the crackdown on the infringement of intellectual property rights, which was carried out jointly with the Korea Communications Commission and the National Police Agency, the culture ministry said. Twp operators of Marumaru were booked last month on charges of copyright law violations, it said. The governmentwide crackdown targeted pirate websites suspected of distributing illegal copies from their overseas servers, the ministry noted. Besides Marumaru, the IPR police have also shut down the well-known webtoon pirate website Bamtoki and Torrentkim, an illegal broadcast content-sharing website, it added. The Marumaru operators allegedly opened a manga link site through a domain service company in the United States and connected it to a web server that stored about 42,000 pirated manga works. They frequently changed the web server domain address to avoid police crackdowns. Police estimate the Marumaru operators have earned at least 1.2 billion won ($1.07 million) in advertising income. Police said the booked or arrested operators of the 25 pirate websites will face civil compensation lawsuits in addition to criminal punishments. Indeed, the Bamtoki operator, who was sentenced to 2 1/2 years in prison on charges of copyright law violations, has been ordered to pay billions of won in compensation to several local webtoon platforms for stealing their content for years.